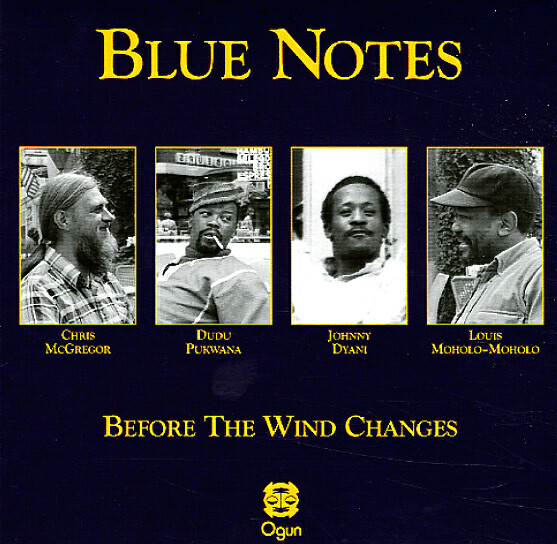 A lost treasure – never-issued material from the legendary Blue Notes combo – and a set that really helps fill some space in their all-too-small recorded catalog! The set captures the group at the end of the 70s, working in their most openly-creative mode – a style that partly shows their strong roots in the South African jazz scene of the 60s, but which also really opens up with some of the freer modes of the following decade – hitting a mix of modes that's not unlike some of the AACM at their best, although often with a lot more intensity, too! The group at this point is a quartet – with Chris McGregor on piano, Johnny Dyani on bass, Louis Moholo on drums, and Dudu Pukwana on some especially amazing alto sax – blown with such righteous force, we might well say that his instrument is center stage on the record – were it not for the wonderfully complex rhythms from the other three group members too! Tracks are long, and filled with righteous soul – and titles inlcude "Ithi Gui", "Mange", "Lonta Uyagula", "Lakutshonga Ilanga", "The Bride", and "Funk Dem Dudu". © 1996-2019, Dusty Groove, Inc.